A common posture I prescribe to mothers experiencing pelvic pain after childbirth (even if, like Kate, they are 5 or more years postpartum), is the accordion fold yoga posture. It is a restorative yoga posture, a posture for meditation, and a posture for general relaxation and biofeedback. In this pose you can learn where areas of tightness or discomfort are, and practice progressive relaxation (tightening and actively relaxing every muscle group in the body, one by one) to begin the process of healing in the musculoskeletal, psychoemotional, neuroendocrine, and neuromuscular systems. The posture can be done 1 of 2 ways, 1) laying on your back or 2) laying on your stomach. Only the supine posture is shown here, but you can also lie on your stomach (prone) in this position to facilitate deep abdominal and pelvic release. You can bend the knees if it is more comfortable, but the purpose is to relax the entire body, letting the legs and shoulders cascade over the edges of the accordion-fold. The carryover of relaxation to the pelvic through the diaphragm (breathing muscle) and related muscles will happen with time and practice. 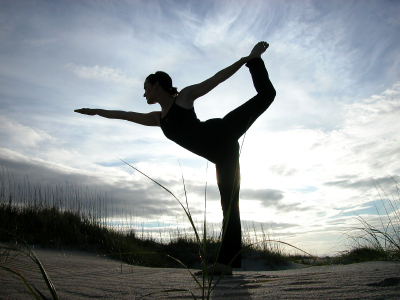 Seeking out a PT or health care provider who can teach yoga in this medical context can be incredibly beneficial. Find a Medical Yoga Practitioner here. The accordion fold pose can help you become aware of muscle, fascia, or nerve tension, and can be a first step toward healing, using the best of both worlds in integrative and conventional medicine. Deep breathing – Aim for a goal of less than 12 respirations per minute where the chest is not rising or heaving; rather the belly should be rising on the inhale and gently falling on the exhale. ©2014 Ginger Garner. All rights reserved. Take this article with you and discuss the many options for treating pelvic pain with your doctor, nurse practitioner, or physical therapist. All of these health care providers can work together to create the best possible plan of care, which may also include counseling or other therapies if they are not covered by a medical therapeutic yoga/meditation program. Faubion SS, Shuster LT, Bharucha AE. Recognition and management of nonrelaxing pelvic floor dysfunction. Mayo Clin Proc. 2012;87(2):187-193. doi: 10.1016/j.mayocp.2011.09.004; 10.1016/j.mayocp.2011.09.004. Cusi M, Saunders J, Hungerford B, Wisbey-Roth T, Lucas P, Wilson S. The use of prolotherapy in the sacroiliac joint. Br J Sports Med. 2010;44(2):100-104. doi: 10.1136/bjsm.2007.042044; 10.1136/bjsm.2007.042044. Kim WM, Lee HG, Jeong CW, Kim CM, Yoon MH. A randomized controlled trial of intra-articular prolotherapy versus steroid injection for sacroiliac joint pain. J Altern Complement Med. 2010;16(12):1285-1290. doi: 10.1089/acm.2010.0031; 10.1089/acm.2010.0031. Thank you Jolene! 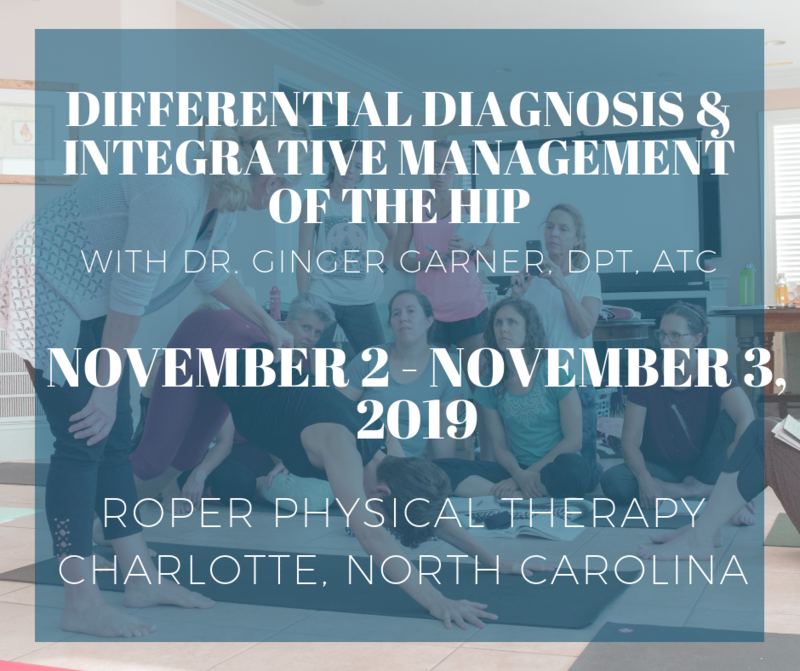 This blog started out as a real question from someone struggling with pelvic pain – and by someone who is already a PT with an excellent integrative background! I think the take-home message is we should all keep learning, embracing and contemplating the newest evidence-base, – like dry-needling!, and that even when we are doing the “right things” to be healthy, sometimes, “more is not better.” Thank you so much for taking the time to stop in and comment – I do hope this post reaches many women who may be in great need of women’s health PT.